Secret’s out, sometimes we stay in our pajamas all day! 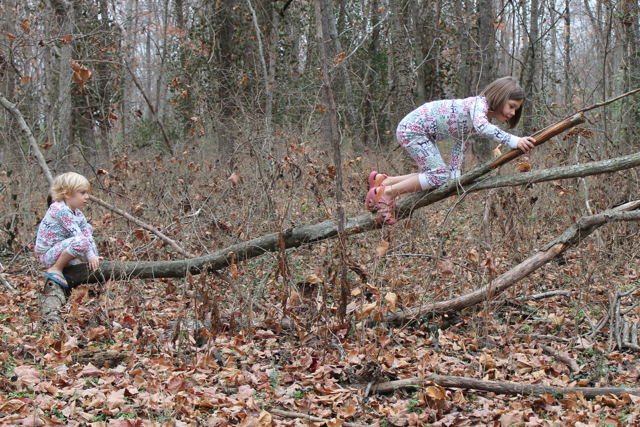 We love days at home, and homeschooling means that some days we never have to leave… on a warm winter day it is even possible to find our children climbing trees and playing in the woods in nothing but pajamas and flip-flops! 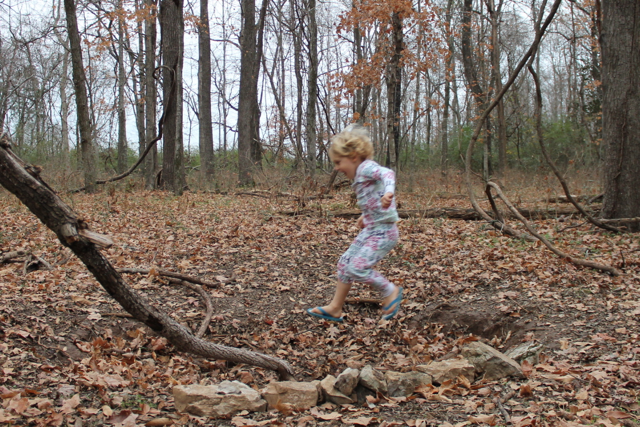 A homeschooling mother told us she actually stocks up on pajamas when it’s time to buy “school clothes” for the year! Love that! After a morning of sitting at the table reading and doing schoolwork, there is nothing better than “shooing” the children out the back door! 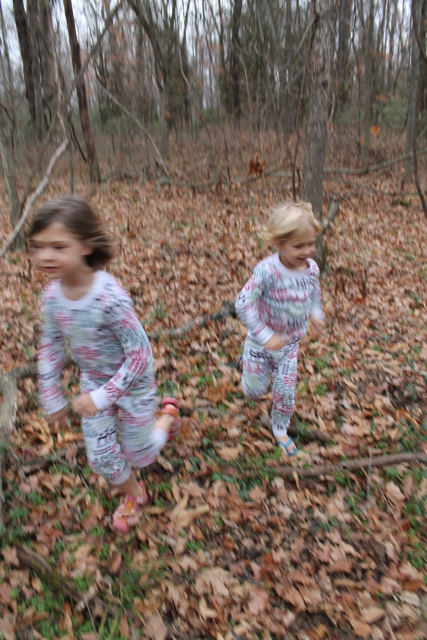 They love taking off through the back door and running through the woods – climbing fallen trees, jumping over holes and swinging from the vines – burn off that energy little monkeys! 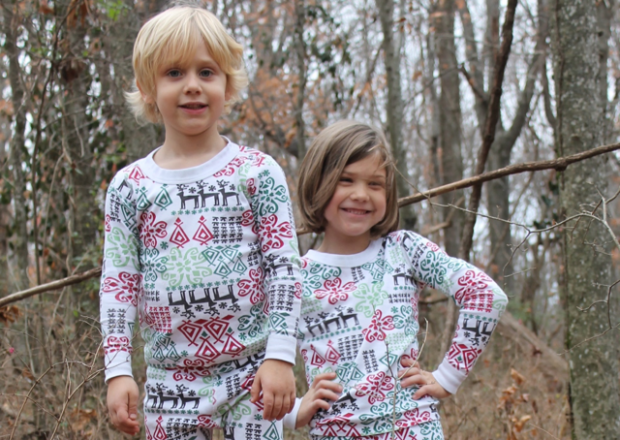 These are our Hanna Andersson Christmas pajamas that the children having been wearing hard for 2 years. Their clothes truly last through washing and wear, they pass down from child to child beautifully and they seriously do not wear out! 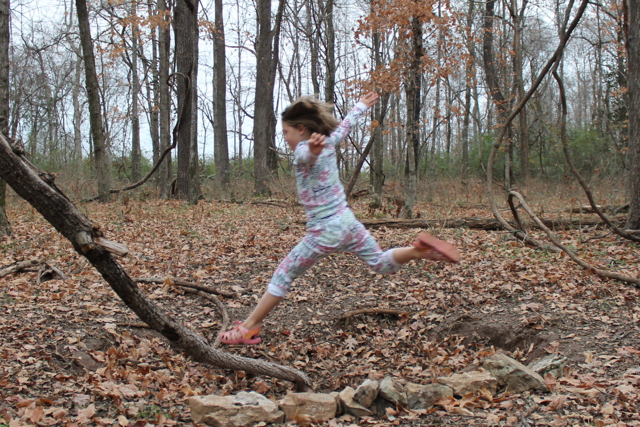 Take a look at these pictures and you’ll see what kind of testing we put our clothes through! bonus: check out the major semi-annual sale right now! Are you a fan of Hanna Andersson? Do you sometimes stay in pjs all day too?